There are two conditions that can happen in your smile that can are highly preventable: tooth decay and gum disease. When it comes to both of them, they can progress to the point where there is no way to reverse the damage. If tooth decay erodes away your tooth enamel, it cannot grow back. Once gum disease hits an advanced stage, you will have to manage it for the rest of your life to prevent serious problems. Regular visits to your dentist are one of the most essential ways that you can prevent gum disease from reaching the point of no return. Your dental team in Sheridan, WY is ready to help you keep gum disease from wreaking havoc on your smile. 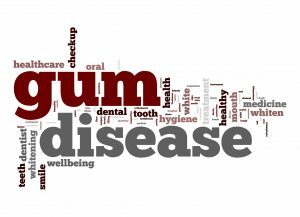 Gum disease is caused by bacteria building up along and under your gum line. It can cause infection, irritation, and inflammation of the gum tissue. The word gingivitis literally means ‘inflammation of gum tissue.’ Gingivitis, the earliest stage of gum disease, can be reversed with a removal of the bacteria and improved oral hygiene. However, once gingivitis is allowed to advance, it can progress into stages where it cannot be reversed. Gum disease can cause your gum tissue to start receding from your teeth; this can create pockets where more bacteria can accumulate. If bacteria is allowed to collect on the roots of your teeth, it can begin to cause serious problems for your smile and for your overall health. The infection and inflammatory agents can enter your bloodstream raising the risk of other health conditions, such as heart disease, for the rest of your body. Your teeth become in danger of falling out. Your breath can smell foul. Your smile can begin to look drastically different because of the ill-appearance of your gum tissue. Treating gum disease early on (or preventing it in the first place) is important to not reach this stage of the disease. Advanced gum disease cannot be reversed. To schedule a consultation, call Grinnell Street Dental in Sheridan, WY, at (307) 672-7567. Along with residents of Sheridan, we also proudly serve the residents of Gillette, Billings, Miles City, and all surrounding communities.